The best trips happen when you do not plan. My friends and I paved the drive on the go; driving in and out of villages, and avoiding traffic were based on our mood. 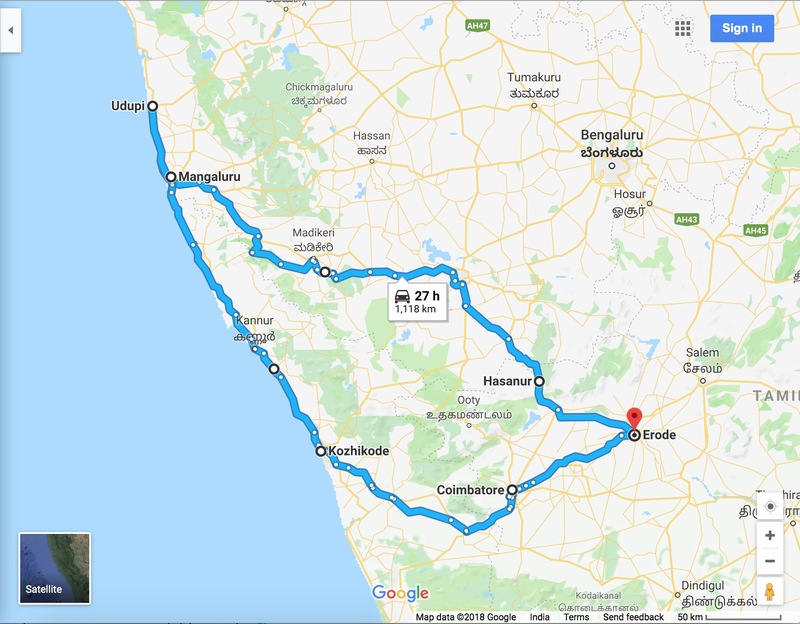 In this impulsive and convoluted road-trip, we visited two highlightable sites: The Mysore Palace and Hasta Shilpa. The Mysore Palace is humongous and spreads across in the heart of the city of Mysore. Within its walls, you can find the palace surrounded by temples, parks and a vast courtyard. A walk around the site and into the palace will allow us to have a sneak-peak on the opulent lifestyle, a brief overview of how India transformed during the British rule, and the variety with which the Indian culture is packed with. Along with the richness, you can find the negligence, both in the government and the public, in the way we treat this monument. An infinite number of mindless scribbling on the walls, the dispute the land and property is under, improper crowd management are signs of negligence we have towards the treasures we could learn from. My friends and I were bummed by looking at the state of the artefacts. The next day we resumed our journey, and the next stop was Hasta Shilpa in Upudi. It was only during our drive we found that there are set timings for entering the place. There were different kind of tours based on the season and the day of the week. We were curious on what the fuss was about with all these specifications with Hasta Shilpa. 1 hour north of Managluru, a simple board pointed that parking space was available inside. At the entrance, we paid a fee of INR 300 for each person and was waiting to see if someone else would join us. Hasta Shilpa is a “heritage” village where the founder, Mr Vijayanath Shenoy, took great pains to preserve traditional architecture. You can find houses from the Vijayanagar kingdom and an 800-year old temple. Mr Shenoy would visit villages and find out if there are houses that were built many hundred years back. After detailed documentation, the house was relocated to Hasta Shilpa in parts. Some houses’ parts were removed from the original site and attached to the facade of a made up building. The most exciting part of the tour was we were allowed to walk inside the houses. Once you are inside, you not only visualise how interiors were back then but also you can smell how it would have been back then. In some house, you were also able to listen to the music that would have been played back then. As you listen to how the whole village was set up, you would realise that it all revolved around the painstaking efforts of one single man. There are more hidden gems left for you to discover. Both places speak about our culture, history and tradition yet are fundamentally different in the way we treat them and how we look at culture and tradition here, in India. It does take great pains in preserving our artefacts. Yes, But I believe that our from the past we can solve our future’s problems. It is our duty to at least know what our history was. That is why we must visit places like Mysore palace and Hasta Shilpa and museums at cities. We were able to see the stark contrasts between these two places in India. If one man in his lifetime can do such a fantastic job why can’t we ‘the public and the government’ do it. I would disagree with calling this negligence. It is complete indifference that blinds us. Previous Previous post: A friend who knows you can save you. Next Next post: My 8 hour walk the walk – And the message at the end.